The last time the staff of the Valley Forge Tourism & Convention Board (VFTCB) got a behind-the-scenes look at the new expansion to King of Prussia Mall, it was July 2015. There was a roof. But no walls. And we wore hardhats. Ten months later, the project has advanced significantly, successfully navigating an active holiday season, a record January snowfall and several architectural alterations. None of which has affected the projected opening, August 18. The latest visit showed the space almost ready for client move-in. The spacious hallways were in pristine condition, with skylights and work-in-progress tile floors gleaming. Installation of the escalators that would whisk customers into this shopping Shangri-La was proceeding, and although the storefronts were still a network of studs, it wasn&apos;t hard to imagine them buzzing with business. 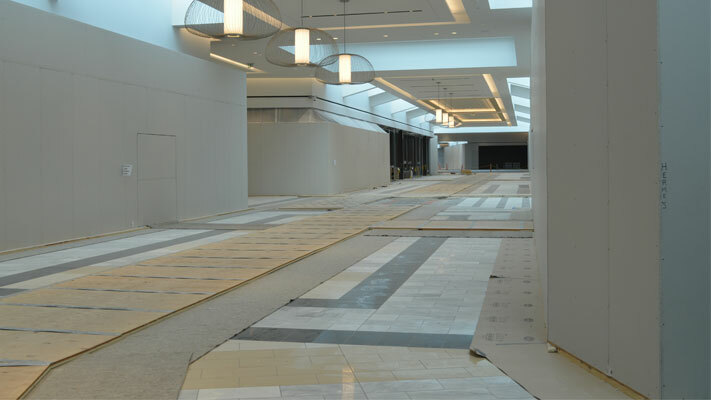 Bob Hart, General Manager of King of Prussia Mall, put context around the advances: "This is our eighth major redevelopment at King of Prussia Mall in its 53-year history, dating back to the early 1960s with Korvettes and Woolworths. We&apos;ve come a long way," he said. "The best thing in my perspective is that King of Prussia is going to be one mall," Hart continued. "The Court was built in 1980, and from then to now, you had to walk outside between the Plaza and the Court and brave the elements. Now you can stay inside in a nice, environmentally controlled space." But from the start, this project has been about more than the need for patrons to occasionally dodge raindrops. Hart cites one of its most compelling drivers: demand. He believes the mall&apos;s success results from two significant advantages: its location and its mix of retailers. "This is the best location around," he said. "You&apos;ve got the busiest road in Pennsylvania, the Schuylkill Expressway, and the busiest interchange on the Turnpike, Valley Forge. And then there&apos;s Route 202 and Route 422. They all come here. "But just as significant reason for the mall&apos;s ongoing success, in my opinion, is bringing stores to this mall that are not found anywhere else in Southeastern Pennsylvania. People drive longer distances to come here, bypassing the other malls." The connecting wing has been strategically designed to highlight retailers on all ends of the spectrum. 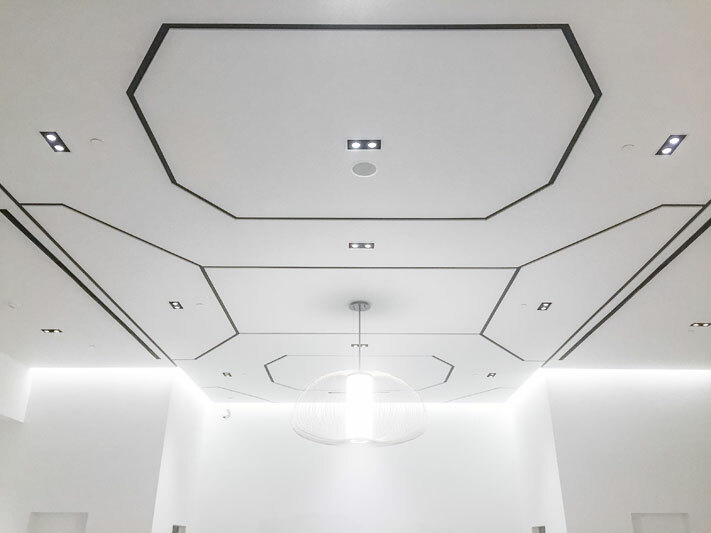 The wing that adjoins the Neiman-Marcus anchor will feature high end brands such as Louis Vuitton, Gucci, Cartier and Hermes. The opposite corridor, stretching toward Macy&apos;s, spotlights aspirational tenants. At the mid-point is a cluster of boutique restaurants that the mall is labeling "Savor," a strategic element in the shopping experience, according to Hart. "Restaurants and shopping go hand in hand," he explains. "People make a day of going out shopping, and as part of that, they want to go to a good restaurant." 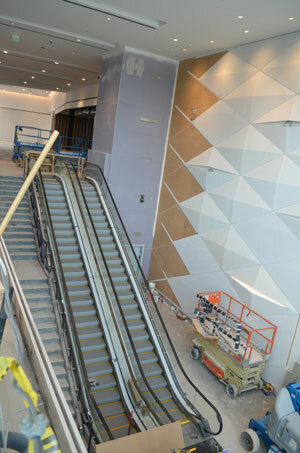 The existing wings of the King of Prussia Mall - the former Court and Plaza - are also getting a spruce-up to "...complement this beautiful feeling that you&apos;re feeling here," comments Hart. The expansion also brings a completely redesigned parking structure. Project manager Ted Jeffries, with IMC Construction in Malvern, explains the difficult logistics involved with this portion of the renovation. "We could not just demolish the former garage," he explains. "To just smash it with a wrecking ball would have endangered the existing mall building. So we literally took it apart, piece by piece, in an almost reversal of the process that put it there in the first place. We then took the rubble offsite, crushed it and brought it back to serve as fill. It sounds complicated, and parts of it were, especially the timing with the holiday shopping season, but in the end, it turned out to be the more economical approach." Jeffries explains that the garage&apos;s design ensures easier traffic flow. "Each level can be accessed from a driveway on the outer perimeter of the structure," he says. "So there&apos;s no more weaving back and forth, floor to floor, looking for spaces or maneuvering to the exit. We also have a counter on each entry point, displaying how many open spaces are available." With less than 90 days to go before the ribbon-cutting, Jeffries isn&apos;t resting on his laurels just yet. But the closeness of the finish line gives him a chance to reflect on the past 18 months. The biggest challenge? Jeffries smiles: "The hardest part is that we had to build over the roads and over the parking lots of a very active, very popular mall."